This is a delicious and refreshing breakfast or afterschool snack. All the ingredients can be kept at home in cupboard or freezer, making it a great recipe when you haven’t had a chance to go to the shop. 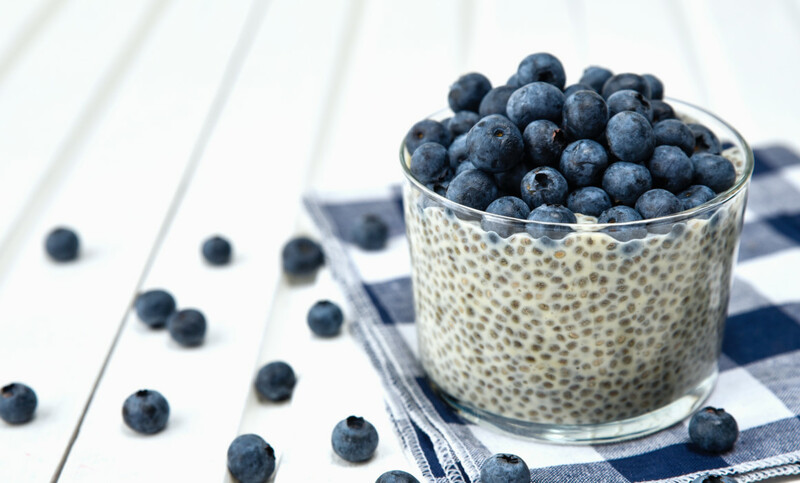 The chia seeds make it high in fibre, calcium and essential fatty acids. Use a blender to mix together the frozen mango and coconut milk to form a smooth mixture. Stir through the chia seeds, make sure they are evenly dispersed. Divide mixture between 5 glasses and decorate the top with blueberries.